WHY SHOULD one speak up about perceived wrongdoing? Let me start by saying this: Life is complicated. Sometimes people and things can appear to be one thing on the surface but as you look closer, you begin you notice cracks in the façade or artifice. You may detect inconsistencies in the narrative, or note a dichotomy between a person’s words and deeds, or be subject to broken agreements … even being strung along with excuses for non-performance. You may start to experience a feeling of dissonance. Later, you might even reach a point of seeing the person or situation as 100% the opposite of your original impression. It’s happened to me. When it does, the chain of events leads one to reach certain conclusions. But back to the question, Why speak up? Why not just quietly go about your business, live and let live, look the other way and let the chips fall where they may? Why open yourself up for criticism as um, well … a critic? Why do it? I’ve discussed part of it before: I’m sick of seeing the effect on the victims of certain types of ‘sales’ operations. It’s tragic in some cases … and just downright wrong in others. I also personally think that the decision to remain SILENT in the face of what you perceive as wrongdoing is a perverse mistake and causes a ‘social harm’. (I’m not going to use the word ‘sin’ because it’s loaded with baggage, but, hey, if it fits for you… ) I’ve expanded on this aspect in another discussion prompted by a claim that ‘God told me to cover sin’ … on my way to drawing conclusions. Those are challenging, uncomfortable words, if you let them in. 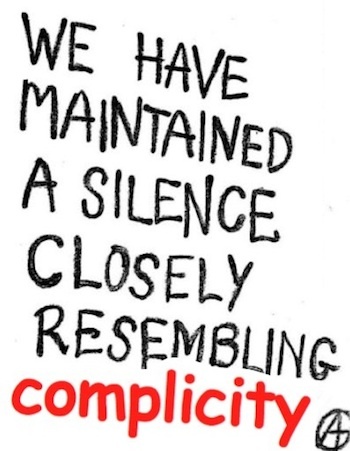 We have maintained a silence closely resembling complicity. To those of my friends and others who are ‘keeping their heads down’, ‘staying out of it’ or, in some cases, kidding themselves that the particular liar they are working with is ‘not so bad’ — ‘the best of a bad bunch'(?) — or, in their own way, ‘an honest person’, I say (kindly): Get real. 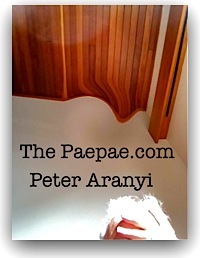 Take encouragement, as I have, from the plucky souls who pipe up and point out the cracks in the artifice. Celebrate and applaud their courage, as I try to do. And, if you can, follow their example. I acknowledge the challenge you face. We all do. I know I come across as a sort of zealot at times. I know my views can appear harsh and judgmental — black and white. I know it. Truthfully: I feel an obligation to do the right thing and speak up — to tell the truth as I see it. Doing the right thing should never be a hard thing. But for some it is. Not sure why. I must say Congressman Anthony Weiner of New York’s 9th District has got the right stuff. He knows the difference between the right thing and the wrong thing! I can’t find a link to it yet – but you will know what I’m talking about when you see it.